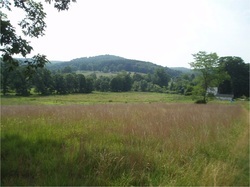 Lewisboro has hundreds of acres of open space for you to enjoy. Click on any of the preserves below to get detailed information as well as photographs of the preserves. This is only a partial list; please check back often as we add more preserves. The 370+ acre Leon Levy Preserve is located in South Salem on Route 123. 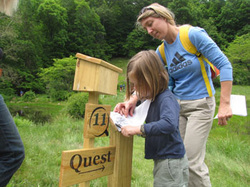 It boasts 25 foot ravines, ruins of an old stone mansion, & an incred- ible old hardwood forest. 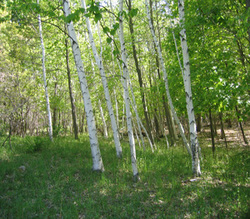 Leashed dogs welcome, great horse- back riding trails. in Waccabuc has 110 acres of habitat, trails & important watershed land that include 5 "old fields". Access is on Mead Street. Leashed dogs welcome; terrific horseback riding trails. 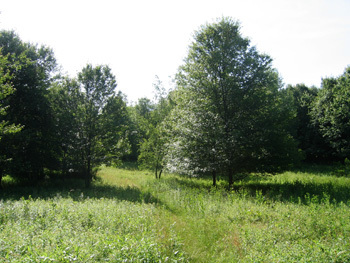 FREDERICK P. ROSE AND ROCK SHELTER PRESERVES North Salem Road/Route 121, Lewisboro; 105 acres of woods, old fields & wetlands, the preserve is home to several rare amphib-ians & reptiles, & is a key link in the Eastern Westchester Biotic Corridor. Leashed dogs welcome. WARD POUND RIDGE RESERVATION abounds with open space consisting of over 4,300 acres of meadows, wet meadows, sandy moraines and vernal ponds. Its rustic wood- lands include evergreen plantations, oak, hickory & maple forests. 2 streams run through the park & are home to 13 species of native & stocked fish. In addition to trails, picnic grounds, camping areas & archae-ological sites, Ward Pound Ridge Reservation is also home to the Trailside Nature Museum. Leashed dogs welcome, & it's exceptional for horseback riding.